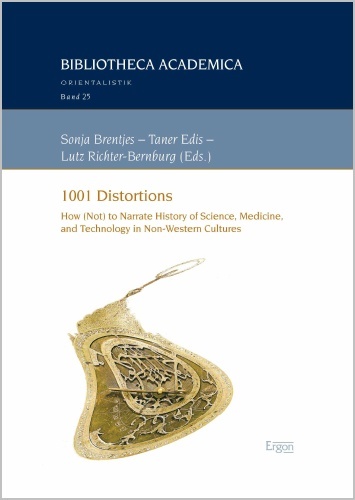 This book reflects on debates among historians of science, medicine and technology as well as Islamicate societies about fundamental questions of how we think and write about the intellectual and technological past in cultures to which we do not belong any longer or never were a member of. These debates are occasioned by the manner in which amateurs have taken bits and pieces from our academic narratives and those of our predecessors, stripped them of their richness in detail and their often agonizing efforts to interpret these details, and rearranged them in simplifying and often misguided fashion as outdated stories about glory, success, priority and progress. Our texts are accompanied by reflections of professional curators and museum directors about the difficulties of translating academic research into representations that attract different groups of visitors. They are followed by experiences in northern Europe with Islamophobic adversaries of any narrative about Muslim contributions to the sciences, medicine and technolo-gies, and in one of the Gulf States with alleged reformers of the political, economic and edu-cational landscape of the sheikhdom and their use of such amateurish narratives for blocking efforts of critical questioning of such self-congratulatory representations.